Roasts, fries, grills, stews, makes casseroles and more. Tempered glass cover lets you to see what's inside. Great for use as a buffet server when entertaining. Deluxe nonstick surface, inside and out, for stick-free cooking and easy cleaning. High-sidewall base for greater food capacity. Heavy cast aluminum base is virtually warp proof. 120 volts AC, 1000 watts. Tempered glass cover allows you to see what's inside. Great for use as a buffet server when entertaining. 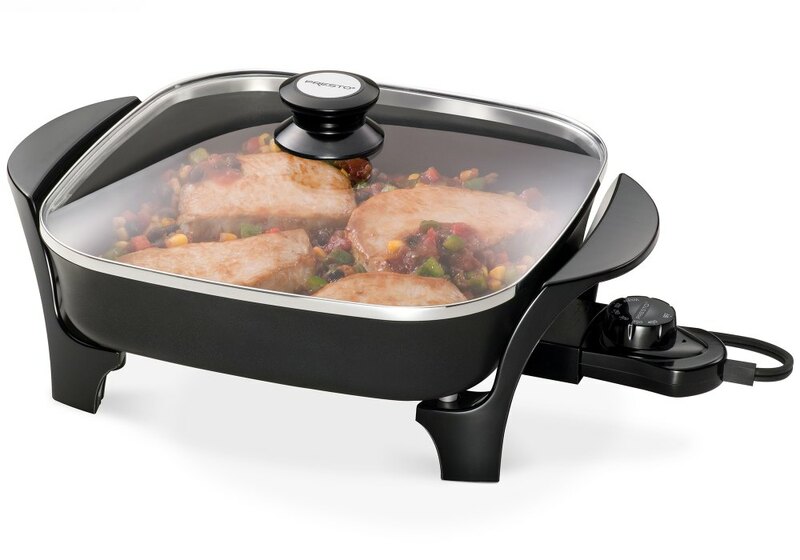 Heavy cast aluminum base with nonstick surface inside and out for stick-free cooking and easy cleaning. Control Master® heat control maintains proper cooking temperatures automatically.